Silvano combines beauty, value, and the latest PID technology for making the best espressos, cappuccinos, and lattes you've ever tasted! Silvano has excellent temperature control with its PID controller and has a boiler for coffee and a thermoblock for steam, each with its own pump. The thermoblock allows for unlimited steam and can be turned off independently from the coffee boiler to conserve energy. 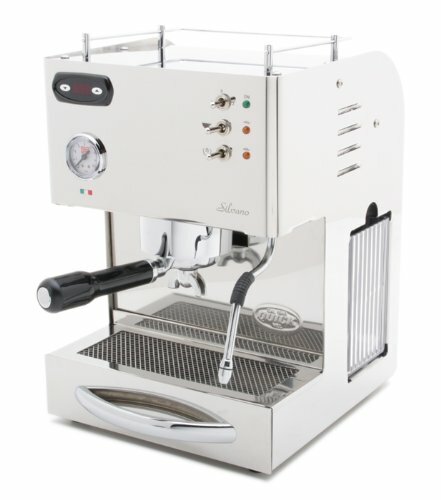 for making the best espressos, cappuccinos, and lattes you've ever tasted! a boiler for coffee and a thermoblock for steam, each with its own pump.